A surfers & bird watchers paradise at the end of the world! Known as the end of the world, this small town clings to the rocky outcrop that juts out into the Atlantic, surrounded by the turbulent ocean. Here you can eat the freshest fish and breath the purest air, probably in the whole Algarve, witness amazing sunsets and feel the impressive weight of Portuguese history. 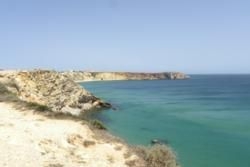 Sagres is a very individualistic mix – its rich history which permeates the very landscape is an interesting complement to the throngs of surfers that gather here to ride the waves, to the local and weekend fishermen, and to the many visitors who want to see for themselves where the golden age of the Portuguese Discoveries began. 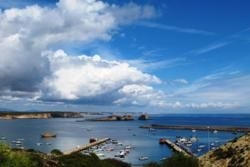 The famous Fortaleza of Sagres which dates from the 15th century is perched atop the cliffs of the promontory. Within its walls there is an interpretive centre to visit and the church of Nossa Senhora da Graça, which tradition says was founded by Prince Henry the Navigator. One of the most striking sights is the local fishermen perched very precariously upon the cliffs in the search for the biggest and best catch of the day. A little further up the coast you have Cape St. Vincent, an obligatory point of reference to any ship sailing these seas. The light house was built in 1846, electrified in 1906 and is said to be the second most powerful lighthouse in Europe. The town itself is small but has a great selection of eateries– some more traditional and some very modern, catering to the younger surfing crowd that flock here in the summer months. 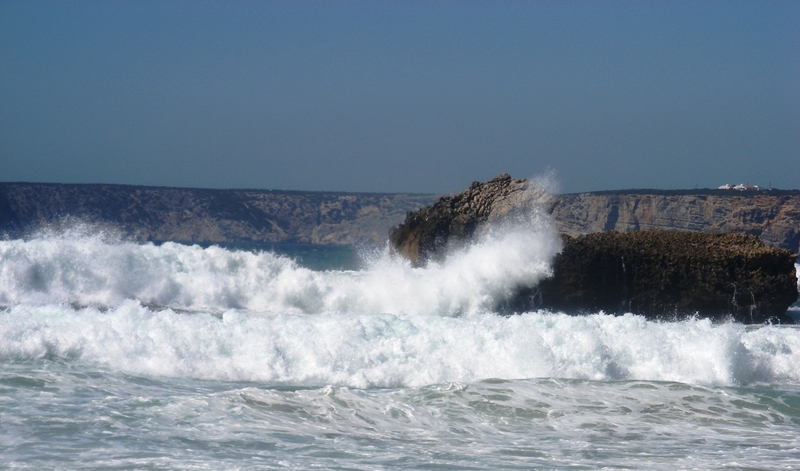 The whole area surrounding Sagres is peppered with beaches and it is also a great starting point for exploring the Western coast of the Algarve. And not to be forgotten – from Sagres you can witness sunsets that will leave you speechless. A crimson sun setting in the West and a crimson moon rising to the East – breath-taking. What to find out more? 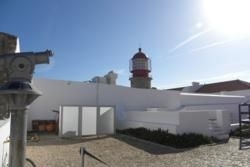 See our Guide to Sagres.